What do Pay Per Click Advertisers, lacking in experience, but who think they know how to manage their own campaigns, do to try and make improvements to their Pay Per Click Advertising? A fairly average Pay Per Click Advertiser sees that they are getting no clicks on “red roses” in one of his/her advertisements, so he/she gets rid of that keyword. Lots of people who find their way to a company’s website via Google Organic Search links end up making a conversion, but the Pay Per Click advertisements that link to the same page on the website generate very few clicks, so the company creates a new ad. The CTR on a particular keyword (with lots of traffic) is very high, almost 80%, but only 2% of internet users then actually convert which is costing the company too much money and so the bid for this keyword is reduced by that inexperienced advertiser. All advertisements for one particular campaign generate a 87% CTR, but the company is yet to receive one single conversion and so the Pay Per Click Advertiser decides to make changes to the connected landing page to see if that has any effect. Even though the course of action chosen for each of the situations highlighted above would probably work, the improvements made would be a short lived ones; the Pay Per Click Advertising victories would be sweet, but very, very short. Why? Because competitors are going to follow in your footsteps and close the gap that you have tried to put between you. You’re racing up the field, leading the way forward like the over-excitable and arrogant hare. Your competitor, like the tortoise, might be behind, but he/she will catch up and they may even overtake you at some point and go on to win the Pay Per Click race that you should have won hands down. 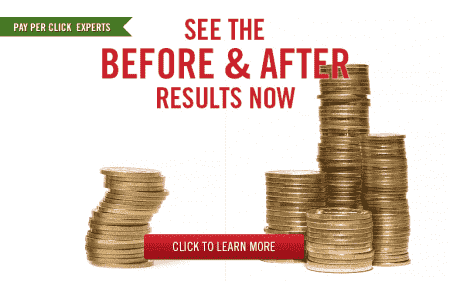 So… what should you do to achieve long-lasting success in Pay Per Click Advertising? The only reason that the hare did not win the race was because he was only interested in doing whatever it was that he needed to do to beat his competitor, the tortoise. The hare was not interested in being the best that he could be, he wasn’t self-analytical and he wasn’t looking to set himself a challenge to beat his own personal score. He looked over his shoulder, he analyzed his competition (the tortoise) and he decided what he needed to do just to beat the tortoise. He did nothing else; nothing to improve himself and that is why he lost. His reign at the top of the Pay Per Click rankings was always going to be short-lived because he never tried to analyze his own flaws or the ways in which he could capitalize even further on his own talents just in order to be the best that he could be. If you want your Pay Per Click Advertising to improve and if you want those improvements to be long-lasting; to have long-lasting, positive effects on your online advertising reputation as a whole, then you need stop just making constant quick fix adjustments on a daily basis. These quick fixes will only ever keep you one hare’s (get it?!) breath away from your closest competitor. If you have any further questions on how to focus on long-term Pay Per Click Advertising success, the Webrageous Studios Pay Per Click Managers are available to help clear up any issues still pending. Remember… long-term Pay Per Click Optimization begins with self-knowledge and company strategy, not keyword change or advertisement text updates.